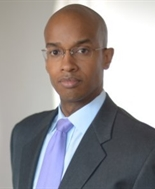 Based in New York, Toby Mitchell began his investment career in 2000 with Citigroup and joined Stifel from Morgan Stanley in 2016. My goal is to thoroughly understand your financial needs and then align the resources to help you pursue them. I can help you evaluate near-term concerns and plan for long-term goals, be a sounding board for investment ideas, and assist you in developing and executing a strategy that is precisely your own and helps you address your needs.